Holy Cow! I was very excited this week to receive my comps for the Warhammer Online: Age of Reckoning from BooM! I did the line work almost a year ago for the Dark Elves and High Elves. I even did some comps for thumbnails for the Chaos storyline. 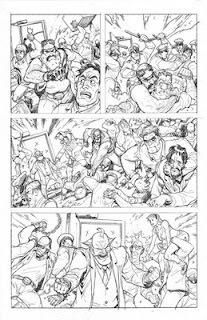 However I haven't been able to show any of the work because the graphic novel was to be released with the games. Well the day has come! The Graphic Novel is finally here. Happy Day right? Well not so fast. I open up the book and to my disappointment 5 of the Dark Elves pages are printed with low-rez line work. WTH. Well there is no point crying over split milk, but needless to say I was a little pissed. Oh well. I will try and get some pages up for every one to check out in the next couple of days. Hey Guys, another week has flown by, but I have some exciting news! My first stand alone comic from DC (Countdown to Mystery was an anthology) is out. 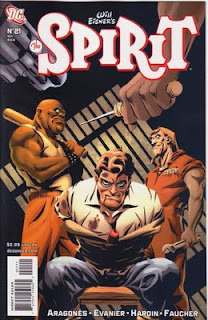 The Spirit #21 hit the racks this week. It has a stunning cover by Paul Smith and interior pencils by yours truly! I'm really excited how it turned out. Wayne did a top notch job with he inks and the colors by Lee Loughridge are phenomenal! 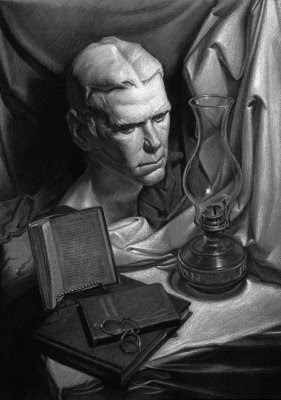 Sergio and Mark did an excellent job with the story so make sure you take the time to pick it up and take a look (that means buy it to all you wiseguys out there)! I'll make sure to upload some of the art that I did now that the story is out. Keep checking back for updates! Hello True Believers! 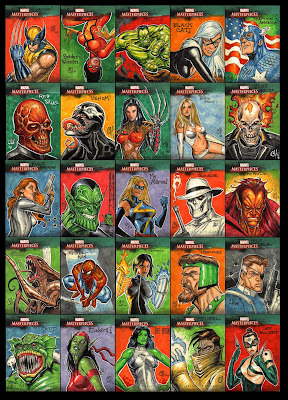 Here today, in a Hardin Art Studios Blog exclusive, are all 25 Marvel Masterpiece Sketch cards I did for series 3. 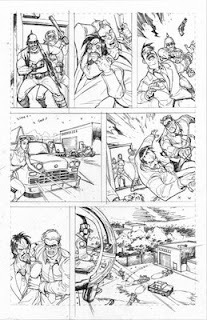 I will post 5 on Digital Webbing, Myspace, Facebook, and Scoundrel's but right here is the only place where you can see all 25. I'm going to try and get more exclusive with art here on the blog to boost subscribers. So make sure you subscribe and visit weekly!